Winter is here, and it came with a vengeance. Don’t despair though, because despite the depressing reality that is late January in Montreal, we have good news. Your favourite comfort food meals that warm your belly on cold and lonely nights can now be ordered directly to your home. No need to venture forth into the slushy freezing outdoors. That delicious warming feeling found in rich, buttery food will be brought directly to you. Poutine is our national dish. It cuts through language, ethnicity, and religion to be the mascot for all that is delicious and unhealthy. Poutine gloriously sets salty fries topped with big clumps of cheese curds under dense brown gravy. It’s a beautiful thing. 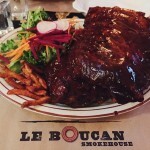 Le bOucan adds another dimension of flavour with smoked pulled pork and a delicious BBQ sauce that isn’t too sweet or too overpowering. It balances out the saltiness of the gravy with a complex smoked flavor. Many restaurants ignore the problem of sauce by only putting the gravy or the bbq sauce. Not Le bOucan. So perfectly combined that it’s hard to tell where one begins and the other ends, you will inevitably finish the plate no matter how hungry you are. 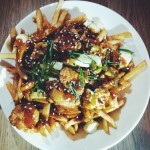 When a smokemaster like Jonathan Nguyen puts his mind to a poutine, you know you will enjoy it, and now, from the comfort of your own home ($14). 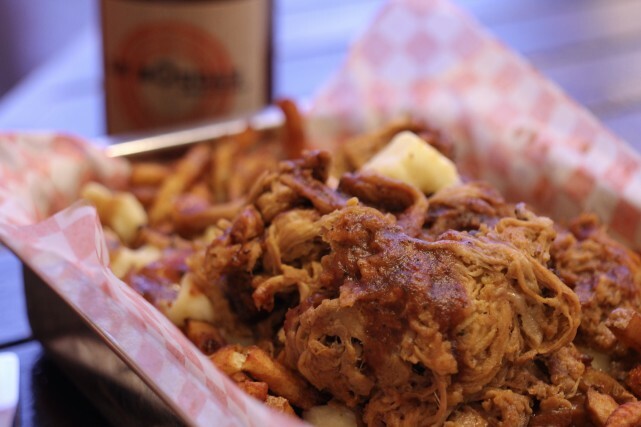 Get pulled pork poutine delivered to your home through Foodora. Everything tastes like chicken. Except no chicken tastes like Romados chicken. 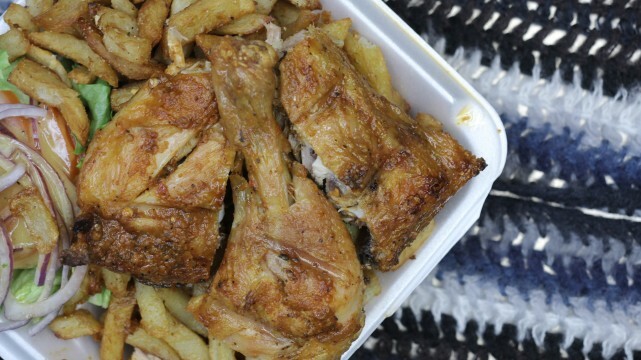 The masters of chicken in Montreal know exactly what they are doing when they drop half a roasted chicken with rice, salad, and fries in front of you. From blocks away, that sweet smell draws people in. But now, it can come to you. The piri piri soaked chicken is so delicious that combined with some Netflix, it turns the winter blues into a night of blissful comfort. Alternatively, the hearty chicken combo can turn any work lunch into a proper reprieve from hump day’s tired repetitiveness. 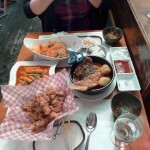 Is any chicken as satisfying as the Romados ½ chicken with combo ($11.45)? Possibly, but we haven’t found it yet. Get Romados chicken delivered to your home through Foodora. 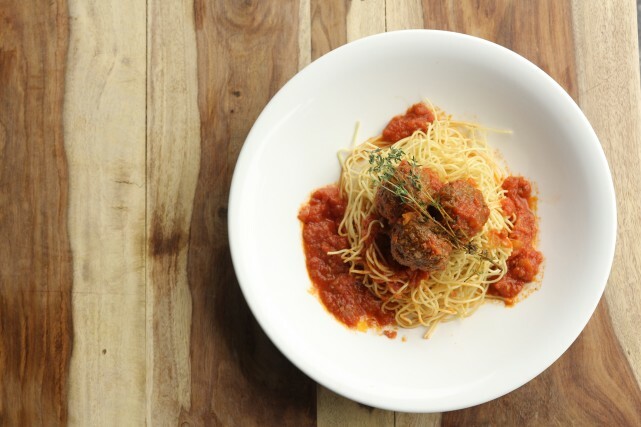 Get meatballs and spaghettini delivered to your home through Foodora. When you’re down in the dumps and need something to comfort you, few things work as well as a soft and fluffy pillow. No, not the one on your bed, but the one that you eat. 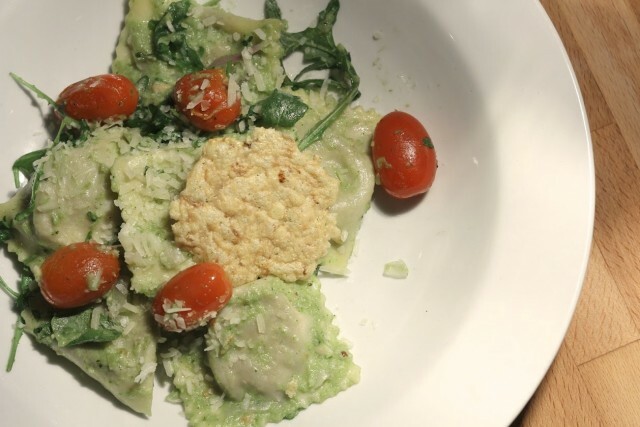 Les Deux Gamins’ homemade vegetarian ravioli will bring you back to those days when someone’s (or your) nonna made you a big heaping plate of ravioli after slaving in the kitchen. Combined with some prime market vegetables, it’s an fresh dish that can’t help but make your vocal chords hum in pleasure. This homemade vegetarian ravioli ($21) is sure to make you smile and send you straight to bed with a delightful case of food coma. And what does it matter if you’re already home? No need for that uncomfortable ride back where you wonder why you ate so much; you can just curl up and forget your woes. 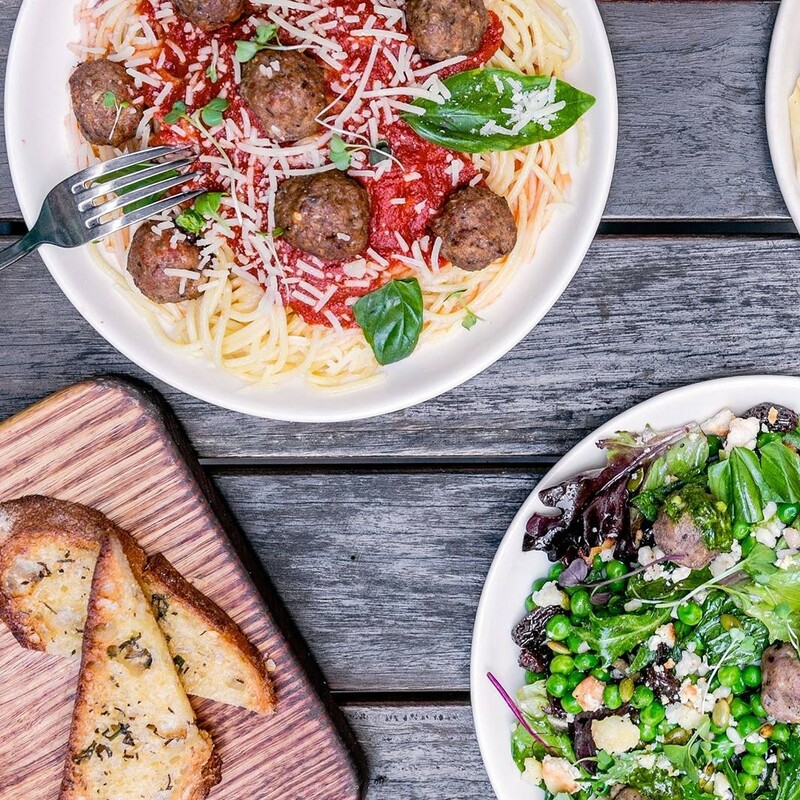 Get veal ravioli delivered to your home through Foodora. 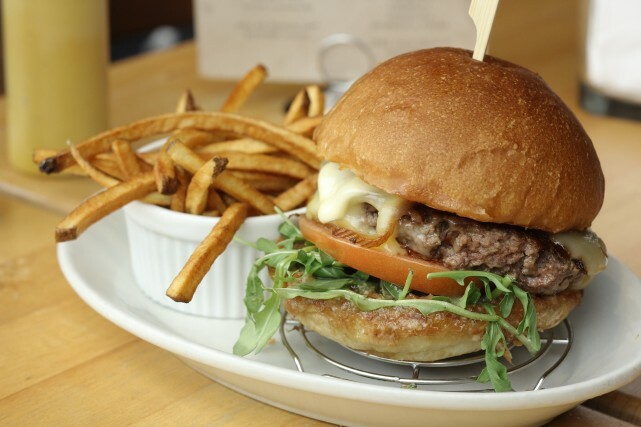 Few foods are as universally familiar as hamburgers. A patty, a bun, and some condiments. It brings us to our happy place where calories and the complicated world matter just a little bit less. Well, with Burger Royal’s Tarantino Burger, that’s a little more true than with most. Topped with one of the most glorious creations in culinary history, bacon jam, this burger will definitely hit that comfort zone. It also has some arugula and white truffle mayo to give it an earthy spicy feel that rounds out the salty sweet of the wonderful bacon jam. Take your time and eat it right because it can be messy. But then again, who cares; when you’re at home, no one sees you eat like the starving monster that you are. Get a Tarantino burger delivered to your home through Foodora. No matter if your comfort fix is a burger, mac & cheese, or ravioli, it can now find its way to you, curled up on the couch and hiding from these long cold months. This is all made possible by the new-ish service called Foodora which allows Uber-like messengers to pick up your food and deliver it to you with very small transport costs. If you’re interested, you can use the service or even become a Foodora courrier yourself with their very streamlined website. 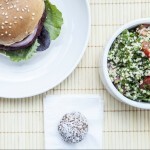 PROMO CODE: get $10 off your order with code COMFORTFOODS!